Why Shared WordPress Hosting is Idle For Your New Site? One of the most difficult tasks faced by anyone who wants to start a blog is the process of selecting the web-hosting for their site. We have already explicitly advised you to stay away from free hosting, as they have significant limitations and issues, and at the end of the day, you will face lots of technical hassles. 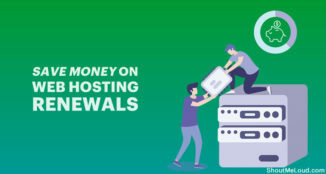 If you are a new blogger just getting started with the process of choosing your web-hosting service, I highly recommend that you opt for reliable, reputable and cheap shared hosting. I have highlighted the benefits, pros/cons and also shared a list of best shared hosting for WordPress. 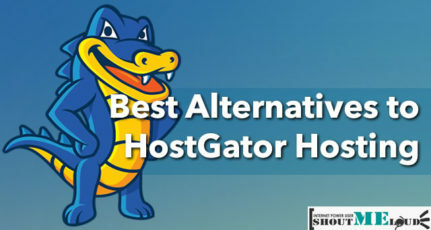 There are several web hosting packages available, such as shared hosting, managed WordPress hosting, Cloud hosting, VPS, and dedicated hosting, and for new bloggers, it’s always confusing to determine which is the best choice. In this guide, you will learn everything about shared hosting and will be able to pick the best-shared hosting by the end. 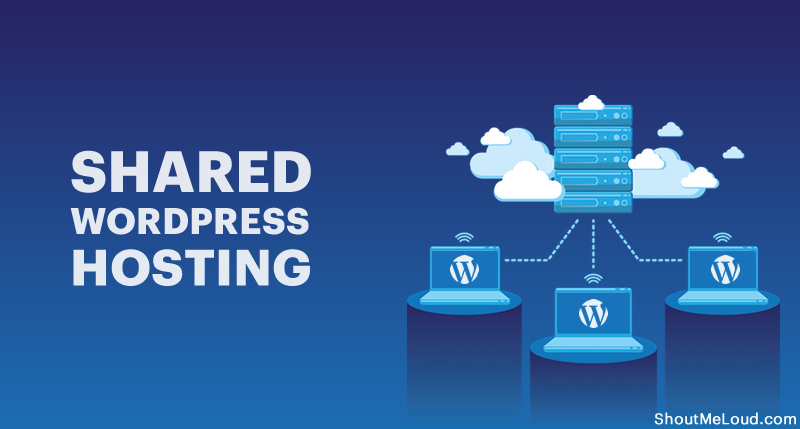 Why Should You Use Shared Hosting for a new WordPress Blog? So why to use shared hosting? Which Shared Host for WordPress Blog? In technical terms, web hosting can be divided into the following categories: Shared, VPS, dedicated, reseller and cloud hosting. You can further classify them as Windows or Linux hosting. For any WordPress site, I highly recommend Linux hosting. When I started blogging in 2008, I was overwhelmed with many options, and as a result, I have tried many types of hosting over time. We started with no traffic at the time when we published our first post. Today ShoutMeLoud receives almost 1.1 million PV/month, and we are currently on a managed WordPress hosting company call Kinsta. However, for the first 4-5 years, ShoutMeLoud was on a shared hosting & our yearly cost for hosting was less than $150. These days, our yearly hosting cost is about $6000. This is definitely way higher than what we were paying, but since our WordPress based platform is not new and require higher resources, this makes sense. At the same time, If I will ever start a new WordPress site, a shared hosting company is going to be the best option for me. It is highly recommended that you opt for shared hosting as you begin your Internet career. If the time comes when you need more server resources than shared hosting provides, you can simply upgrade to managed or cloud hosting. I started my blogging journey with Dreamhost, and later on, I moved to Bluehost, then WPEngine & now ShoutMeLoud is hosted on Kinsta. You will need a certain amount of storage for your website. If you decide to opt for shared web hosting, you should know that you will only get a certain amount of storage space. If you need huge amounts of space, you should definitely opt for managed WordPress hosting such as Kinsta or WPEngine. You should carefully evaluate your needs and see if the space offered by the hosting plan you have chosen enough for your website to run smoothly. When you are not sure, ensure your hosting let you upgrade your plan anytime so that your site doesn’t go down due to bandwidth or storage limitations. Another vital aspect of web hosting is bandwidth. If you choose shared web hosting, you should know how much bandwidth you are allocated and how much your website needs. You should focus on getting as much bandwidth as possible. Shared hosting companies like SiteGround, Bluehost, and InMotionHosting offers unlimited bandwidth and storage. Security is a very important aspect of any website. Especially when 33% of the websites in the world is powered by WordPress, you can’t take security as a joke. It is in your best interest to choose a reliable shared hosting with an extraordinary reputation for security to host your website. In shared hosting space, I have found SiteGround to be doing some excellent work to enhance the security. One thing that you should know is, with shared hosting for WordPress; the security options are limited. They are good, but their security is not the top notch. You should read to ShoutMeLoud WordPress security guide to improve the security of your WordPress site. Support is another thing you should definitely look for when searching for a shared web hosting company. You should expect quality and fast support that completely addresses whatever concerns you have. Also, you should look for a company that offers multiple ways of contacting the support team. These days, SiteGround and Bluehost are said to have best customer support as they also offer telephonic support. InMotionHosting is another great hosting regarding customer support. They are based out of Los Angeles. Initially, your site’s traffic will be low. Shared hosting is costs less than dedicated hosting. Most start-up websites are easily handled by shared hosting. 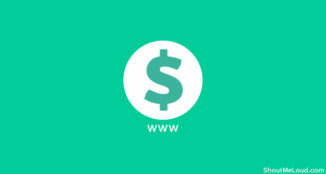 Many shared hosting also offers free domain that reduces initial cost too. You can see the list of such hosting companies here. Most beginning bloggers are short on funds and have little income at the start. For this reason, it is usually preferable to choose a hosting service charging between $5-$15/month rather than spending $20-$200 for managed WordPress hosting. Moreover, companies like Bluehost & SiteGround are bridging the gap between managed WordPress hosting & shared hosting. 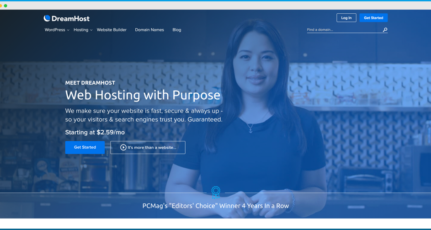 For example, Bluehost offers auto installed WordPress blog with SSL + PHP 7.0 with their shared hosting plans. They also provide a dedicated interface to manage your WordPress blog from their hosting dashboard. Personally, this kind of feature is offered by high-end WordPress hosting. The point here is; don’t make the mistake of spending a bomb on your blog hosting from day one. You can start with hosting like Bluehost, SiteGround that cost below $7/month & offers high-end infrastructure. 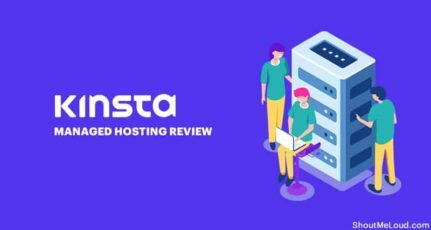 When your hosting requirement increases, you can upgrade to high end hosting like Kinsta hosting or WPEngine, depending on your requirement. 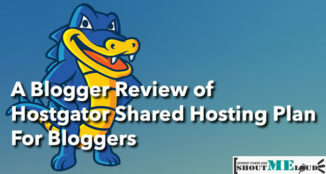 Many people believe that shared hosting affects search engine ranking, but in a recent video Matt Cutts, a Google web spam engineer, confirmed that the hosting environment does not affect ranking. You do, however, need to be sure to choose a reliable hosting service which can give your site maximum up-time. Honestly, most of the web hosting services these days offer amazing resources at low prices, but I always judge a web hosting service for its performance and customer support. When you are dealing with hosting, you need to have basic knowledge about FTP, SSH (in some cases), and other changes which you will be making from cPanel. Unfortunately, DDOS attacks and the hacking of sites is widespread, and you have to ensure that your server quality is up to the task of dealing with any normal hacking attempt. If you are looking for a reliable WordPress shared hosting, I would recommend that you opt for SiteGround, which is officially recommended by the WordPress community. Once your traffic shoots up, you can easily upgrade to any good VPS like Digital Ocean or Cloudways. Remember, a good shared hosting company can easily handle 15,000 visits in an optimized environment. Which service do you think offers the most suitable hosting environment for a new WordPress blogger? If you find the information in this post useful, please share it with your friends and colleagues on Facebook, Twitter, and LinkedIn. Hey! Harsh what about Godaddy ?? Is it good enough for beginners?? Probably the best choice to start is a good shared hosting (don’t try free hosting), where the quality-price ratio is pretty good.